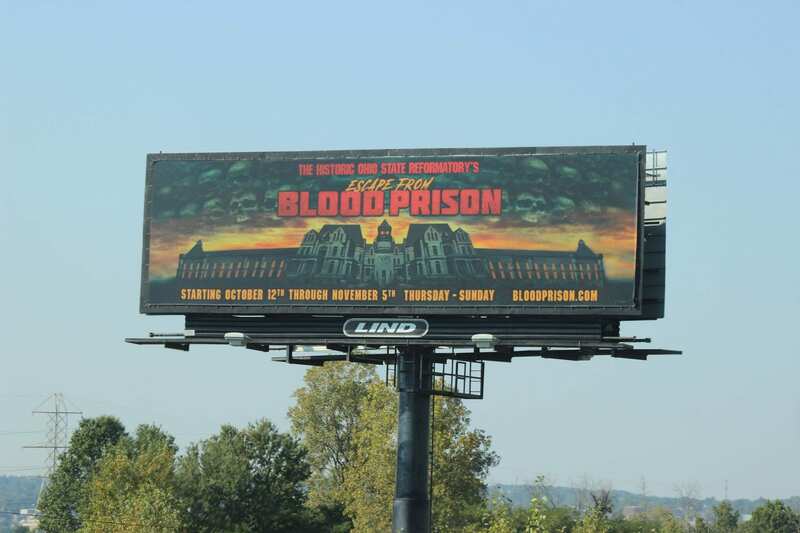 Blood Prison is the scariest haunt in all of Ohio because it takes place in an actual haunted prison. Blood Prison is located at the old Ohio State Reformatory in Mansfield. Visitors can find the reformatory at 100 Reformatory Rd. 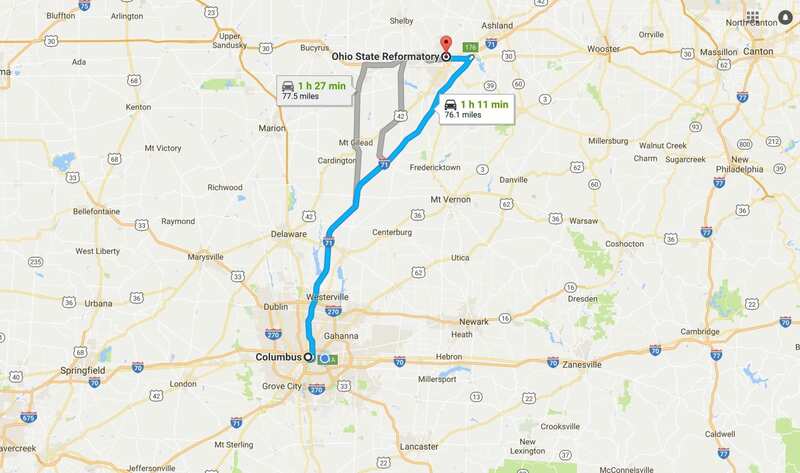 The drive from Columbus to Mansfield is easy-peasy. Basically, you need to get yourself on 71 N, and you’ll follow it practically all the way there. Just pop on your favorite 70-minute playlist, and you’ll get there before you know it. The only thing that is daunting about this drive is the destination. Blood Prison will open on October 12 and the haunt season will continue until November 5. The gates creak open every Thursday, Friday, Saturday, and Sunday evening at 6 p.m.
General admission is $20, Speed Passes are $30, and a Lightning Pass goes for $40. Tickets can be purchased online here, or with cash at the door. For just $5, you can get a Touch Pass that will add an extra element of terror to your experience. I’m not sure why anyone would want to make this haunted house any scarier than it already is—my hat is off to all those brave enough to go for it! The Touch Pass experience is free for Lightning Pass holders. 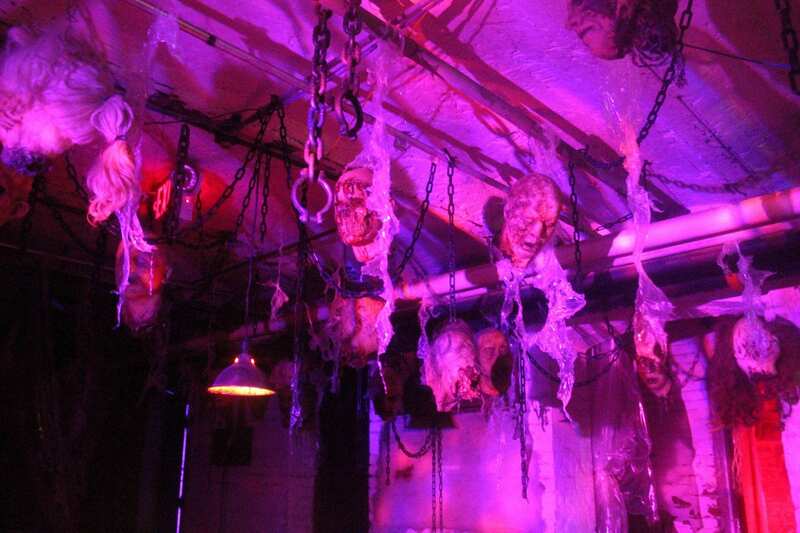 “The building is the star of the show every year,” said Vic Amesquita, the Haunt Manager at the Ohio State Reformatory. The Ohio State Reformatory was built in 1834 and remained an operational prison until 1990. The building was designed by architect Levi Tucker Scofield, a man from Cleveland, that was famous for his super foreboding style. Aside from the Ohio State Reformatory, Scofield built the Lunatic Asylum of Ohio, Athens Lunatic Asylum, and many others. The ominous collection of buildings in Athens, Ohio have been renamed the Ridges and are notoriously haunted—just like the reformatory. Blood Prison is a haunt that takes place in a building with actual paranormal activity. “There’s been some things that have happened and we’ve been like, ‘Yeah that wasn’t us,'” said Amesquita. He told stories of mysterious texts being sent from cell phones that were locked away inside of cars, shadows dancing on the ceiling that were not part of their special effects, and light switches being flipped when no one was standing near them. “Paranormal activity goes on—it’s undeniable. I mean, even the biggest skeptics will come here and be like, ‘That was weird,'” said the Haunt Manager with a laugh. After walking around the old prison and feeling a few chills run down my spine, I whole-heartedly agree the place has some spooky stuff that goes down, even if the only thing that jumped out and grabbed my arm was Navigator Photographer, Chelsea, who was absolutely terrified of the place. Solitary confinement at the Ohio State Reformatory. 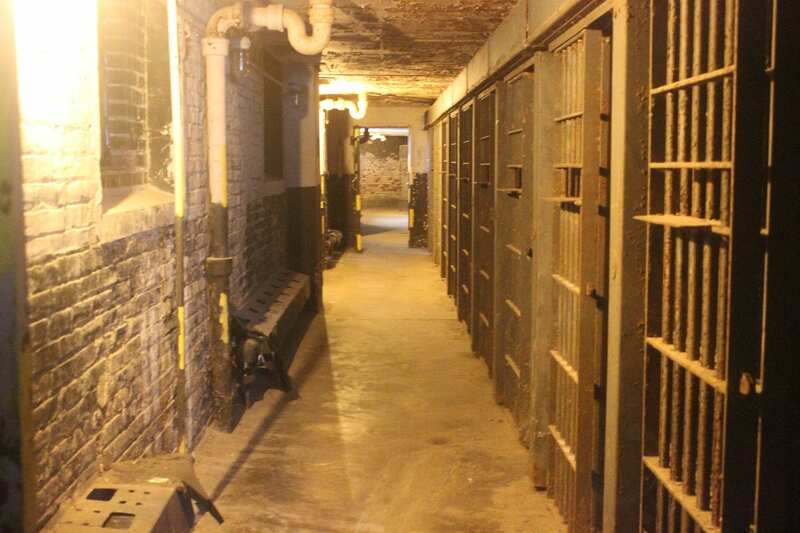 The Ohio State Reformatory makes a terrifying set for Blood Prison. “We just wanted to keep it what it is. It’s a prison. So we’ll have insane crazy inmates everywhere. I don’t care if you’re a clown, a zombie—you will be an inmate of some sort,” said Amesquita. Guests will find themselves creeping though solitary confinement, the cell blocks, and several other parts of the prison as they try and find their way to freedom. This is the first year that the haunt at the OSR will take guests outside of the building as part of the experience. But don’t get too excited when you taste the fresh air. Just because you’ve made it outside doesn’t mean you’ve escaped the horrors of Blood Prison just yet. “That’s why we call it ‘Escape from Blood Prison,’ because you’re trying to escape,” explained Amesquita with a grin. If you arrive at the Ohio State Reformatory and it seems eerily familiar, there’s a reason for it! It’s a pretty popular filming location, and has seen its fair share of the spotlight in both movies and television. Most notably, it was the Shawshank State Penitentiary in the 1994 film The Shawshank Redemption. If you’re not into haunted houses or the paranormal, the Shawshank Trail will take you through the prison and you can check out the filming locations around Mansfield. 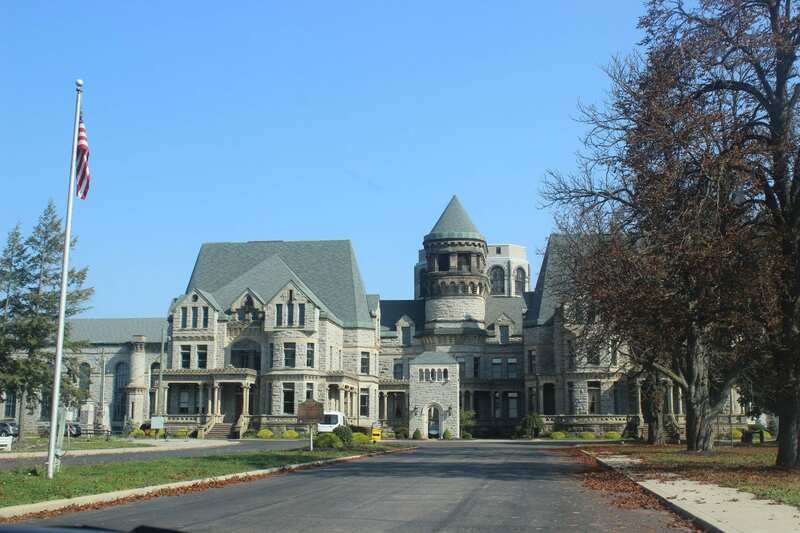 The Ohio State Reformatory still houses several props and sets from The Shawshank Redemption. Go on a tour to check out the warden’s office, the mess hall, Brooks’ halfway house room, and (spoiler alert) Andy’s escape tunnel. Other appearances in movies include The Wind is Watching (2013), Fallen Angels (2006), Air Force One (1997), and Tango and Cash (1989). Sylvester Stallone, who starred in Tango and Cash came back to film his latest movie. Escape Plan 3 has been filming at the reformatory since this summer. The Ohio State Reformatory has been a popular destination for paranormal investigation shows like Ghost Hunters and Ghost Adventures. 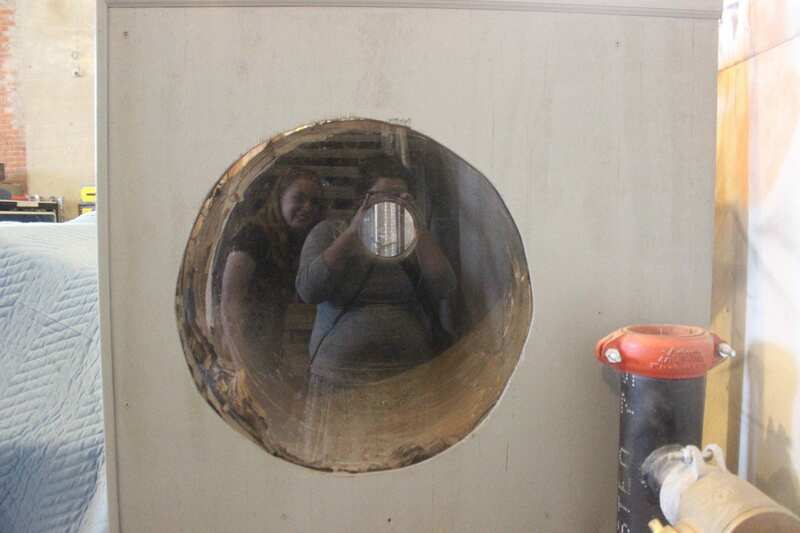 Regardless of why you want to go—whether it be for the awesome Blood Prison, the real-life ghosts, or to check out Andy Dufresne’s old stomping grounds—a visit to this old prison is a must.